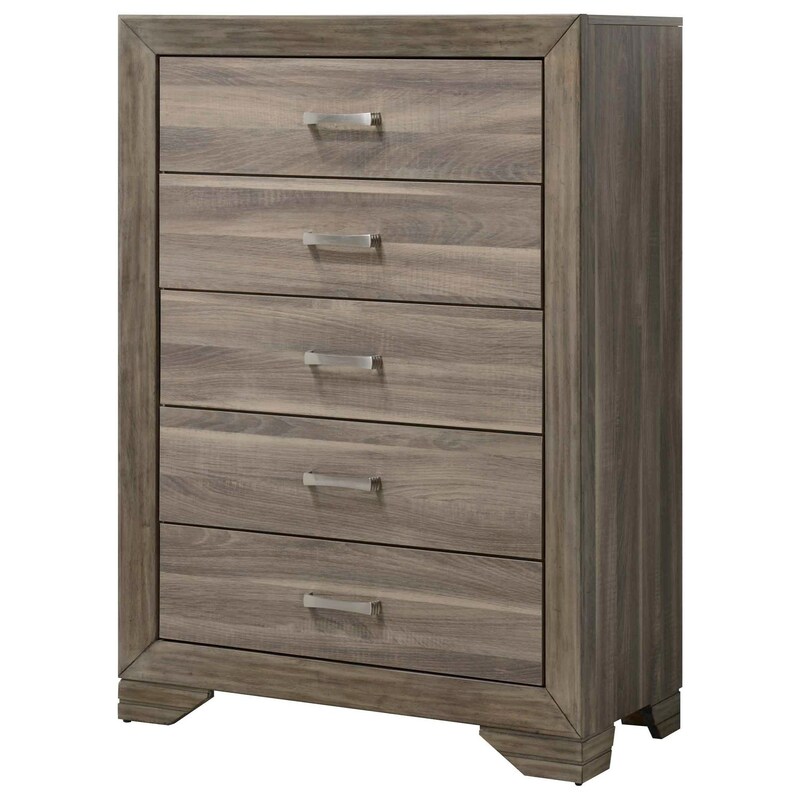 A rustic weathered driftwood finish pairs well with the contemporary lines of this chest. It features solid wood framing and tapered feet for added appeal. The Asheville Rustic Contemporary Chest at Miskelly Furniture in the Jackson, Pearl, Madison, Ridgeland, Flowood Mississippi area. Product availability may vary. Contact us for the most current availability on this product.